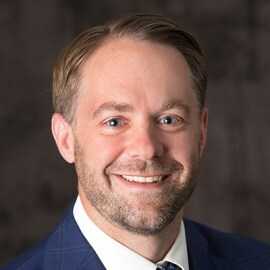 Matthew is a Partner with Meridian and has nearly 15 years of experience advising compensation committees and senior management on a broad range of executive compensation matters. Matthew helps oversee our services on the west coast from Meridian’s San Francisco office. Matthew’s expertise includes the full spectrum of executive and corporate governance issues companies face today, including: compensation strategies, annual and long-term incentive design, executive and director compensation benchmarking, severance and change-in-control benefits, proxy disclosure, proxy advisor perspectives, goal setting, Committee meeting process and managing successful Say on Pay vote outcomes. Matthew works with a full range of companies from pre-IPO to Fortune 100, across all industries. Matthew is a frequent speaker at executive compensation events (e.g., Corporate Board Member, Equilar, NACD). He is also on the Advisory Boards for NACD's Northwest Chapter and SVDX. Matthew holds a B.B.A. in Finance from the University of Iowa and is a Certified Executive Compensation Professional (C.E.C.P. ).